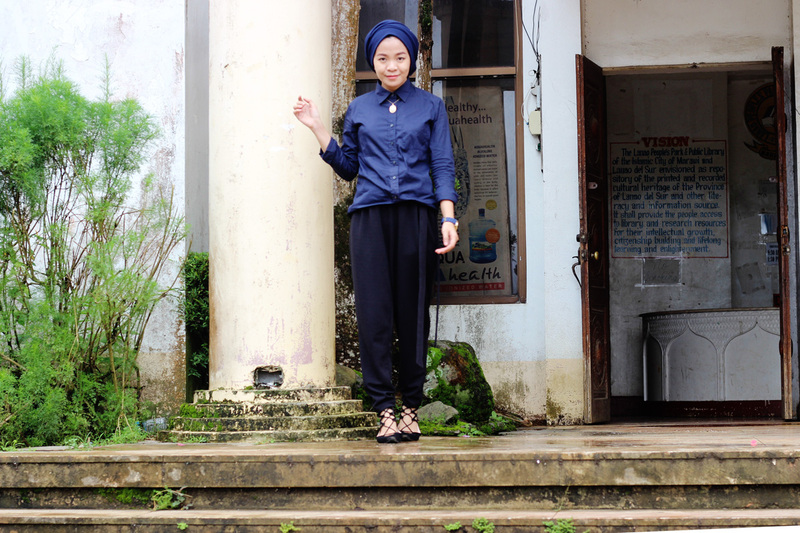 When I started blogging around 2010, I was heavily influenced by fashion bloggers. I used to post OOTD photos but stopped altogether when the blogging world was saturated with OOTDs. But I kind of miss taking outfit shots and documenting how my style has evolved. Thus this post. Necklace: I lost the tag. It's a pasalubong from Saudi. I was at a DTI-ARMM_LDS event at the Poeple's Park when I took these photos. I came all the way from Iligan so I had to dress up for simplicity and comfort or I'll miss the event that started early that morning. Whenever I cover events, not only do I make sure that I am comfortable an can move around freely, I make sure that I wear colors that won't make me stand out. I chose cobalt and black. These trousers are special. They are the most comfortable pair of pants I've worn in a long time. I am always on the hunt for loose fitting yet tapered at the ankle kind of trousers so I can stop wearing skinny jeans forever even when I am covering events. 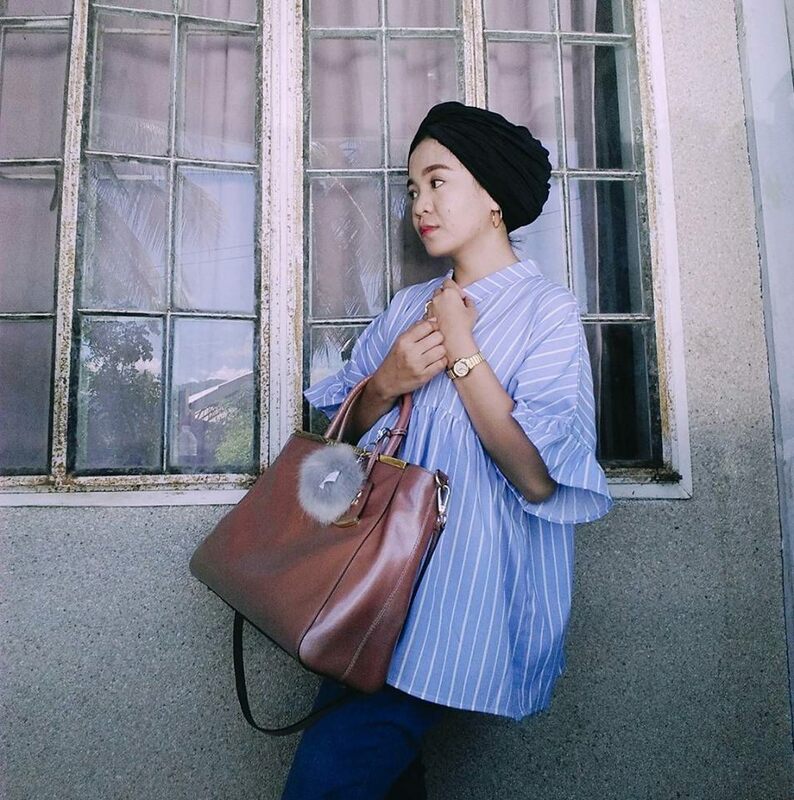 I completed the look with a simple necklace, my animal print bag that is large enough to carry my camera and other personal items, and a turban hijab that lets me travel from Iligan to Marawi and back without sweating too much. Looking back on how I used to style myself when I started blogging, I may have toned down by several notches. But one thing that remains is that I always try to look like myself and not anyone else. I veer away from the most obvious trends as much as possible.